The future of motion-controlled gaming? 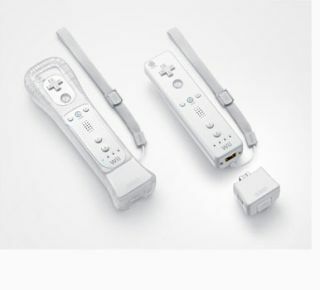 Nintendo's new Wii MotionPlus launches soon, but might the company use ultrasound tech in future consoles? A team of Japanese researchers has developed a new system using focused ultrasound to create virtual objects in mid-air that can be moved by human hands. The 'virtual haptics' technology promises to revolutionise the way we interact with computers and videogames, leading a number of commentators to already speculate that this could spell the end of physical controllers such as the mouse or the Nintendo Wii Remote. "The popularity of vibrating gaming handsets has proven that [haptics] is a rich but untapped way to increase interaction," reads a BBC report this week. Prof Takayuki Iwamoto and his team from University of Tokyo have married a 'simple haptic device' with a few ultrasonic transducers. The team has created a prototype system with a camera that "tracks the position of a user's hand and shifts the output from the transducers to move the focus around with the hand," which effectively gives the user a "feeling of tracing the edge or surface of the virtual object." Iwamoto wants to introduce the virtual haptic technology to 3D modelling software and videogames, noting that his team has already received "several proposals from industrial companies" following a prototype demo last month. The research is clearly in its early stages, but TechRadar will be keeping our beady eye on this, as it promises to be a fundamentally important development in user interfaces for computers and gaming, should it prove to be commercially viable.